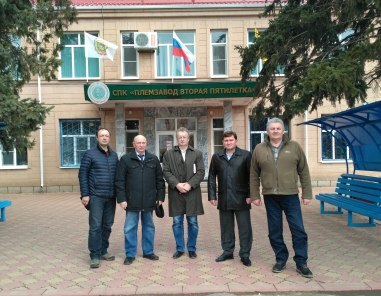 Representatives of the Republic of Crimea, interested in development of sheep breeding on the peninsula, had a working visit in Stavropol Region. 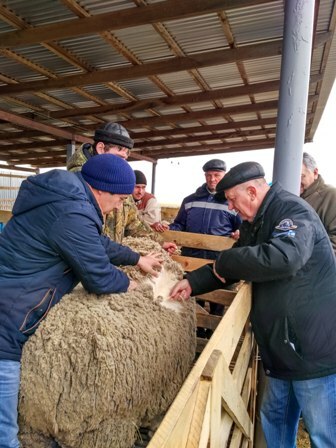 Guests of the resort region visited stud farm "Vostok" (Stepnovskiy district) and examined the North Caucasian mutton-wool breed of sheep and saw the conditions for the animals. The head of the stud farm Pyotr Lobanov spoke about the history of the breed, vast geography of its implementation in Soviet times and the conditions that need to be created for sheep on a new place. Mr Lobanov proposed 500 head of ewes of last year birth for implementation. After weaning young stock, the farm is ready to implement the commercial livestock. According to the Ministry of Agriculture of the Republic of Tuva, the breeders have already received about 30% of the expected population of the offspring of small cattle. Sholban Kara-ool, head of Tuva, demanded from the Ministry of Agriculture and the veterinary to help young breeders and shepherds from a professional and scientific point of view. For the participants of the project in 2017 there will be a series of seminary training in all areas of livestock management with the issuance of the corresponding certificate. To exercise control over the execution of tasks in support of the shepherds, it was decided to create a special visitor log and write down. The head of the Republic also raised the question of the organization planned and artificial insemination of farm animals, especially small cattle. To date, according to the Ministry of Agriculture, almost no district, except those with stud farms, has separate flocks of sheep producers for the planned insemination; breeding work is carried out at a low level. To address these issues, the Head of Tuva has ordered to adjust the system of livestock breeding with the involvement of veterinary services and veterinary surveillance of the Republic. This year it is planned to open two centers with special laboratory equipment for artificial insemination in Dzun-Khemchikskiy and Kyzyl districts. The Prime Minister instructed to expedite action on creating such centers and to consider the possibility to increase their number and in other areas. - XIV SIBERIAN and FAR EASTERN EXHIBITION OF BREEDING SHEEP AND GOATS WILL BE HELD IN THE CITY OF CHITA, ZABAYKALSKY KRAI, IN JUNE.